Ocean Dwellers under a microscope! This box of microscopic marine marvels will light up your life and bring joy to water-lovers everywhere! 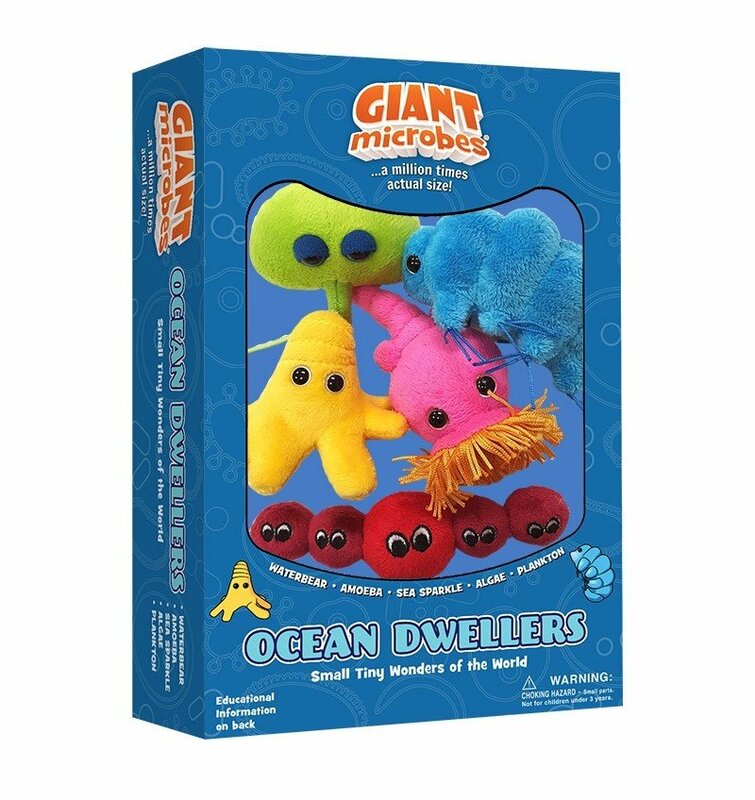 Ocean Dwellers themed gift box includes these minis: Waterbear, Amoeba, Sea Sparkle, Algae and Plankton. 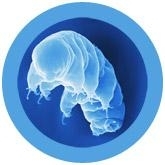 One of the more fascinating organisms in the microsphere is the common tardigrade – technically speaking, “slow walker.” However, it is not the tardigrade’s sluggish speed that captures the attention, but rather the fact that as this miniscule creature lumbers along on its eight tiny legs, it bears an uncanny resemblance to, well, a bear. 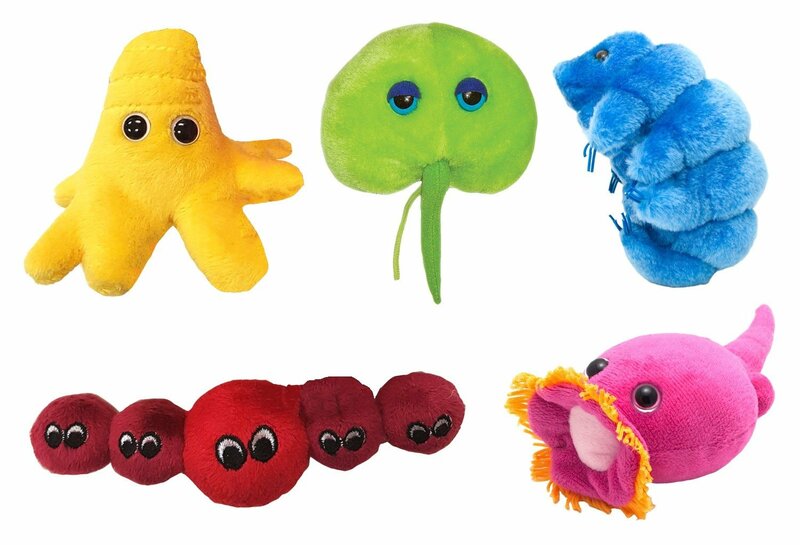 The word amoeba comes from the Greek word meaning “to change”. They move around by oozing into their own pseudopods ("false feet"), and are constantly changing their color and shape. The average life-span of an amoeba is a little more than two days. But because they reproduce by dividing, amoebas are more or less immortal. When you go to the beach or bay at night and see tiny sparkles of light coming from the water, it isn’t your imagination. It's Noctiluca! From the Latin for “night light,” Noctiluca are also known as Sea Sparkle. These tiny dinoflagellates float beneath the surface of the ocean by the millions. When they are disturbed, they glow and produce bright flashes of light. This glow is called “bioluminescence". Algae are the foundation of the ocean’s food chain. Pond scum, seaweed and giant kelp are all algae. Most use photosynthesis like plants, but some also feed on organic material. Algae range in size from a single cell to large multicellular species. They live in salt water, freshwater, wet soil or on moist rocks. Algae are categorized by function and color such as green chlorophyta, red rhodophyta and golden-brown chrysophyta. Red slime algae are actually cyanobacteria, perhaps the evolutionary link between bacteria and algae and one of the oldest life forms on Earth. Rotifers are free swimming plankton found in both marine and free waters. They are beautiful microscopic creatures and among the smallest members of the animal kingdon. Rotifers have delighted amateur microbiologists since their discovery in 1696 by the Rev. John Harris. Nearly all rotifers are female. The males, when they are found at all, are much smaller than the females, and seldom live more than a few days.